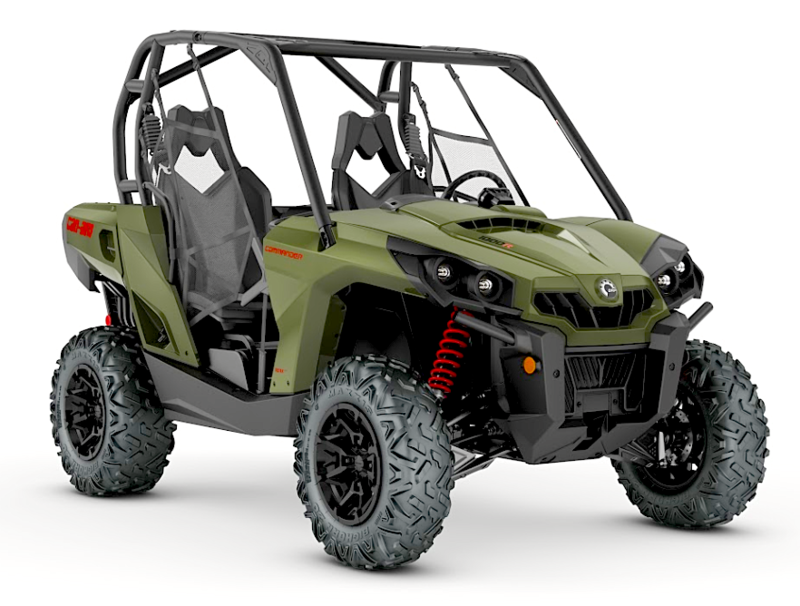 — The Commander 1000R (two-seat and MAX) side-by-side vehicle has received a significant update for 2018, with a power bump to 92hp (+7hp), a wider stance and larger brakes. The vehicle now features the Rotax V-Twin 1000R engine and transmission air intake system from the Can-Am Maverick 1000R. Another upgrade includes new 14-in. (35.6 cm) cast-aluminum wheels for improved dynamic handling experience. The Commander Limited package wear new FOX 2.0 QS3 Podium shocks offering tool-free adjustments to compression and numerous fine-tuning ranges for outstanding ride quality. A Bluetooth connector was also included as part of the Limited package. 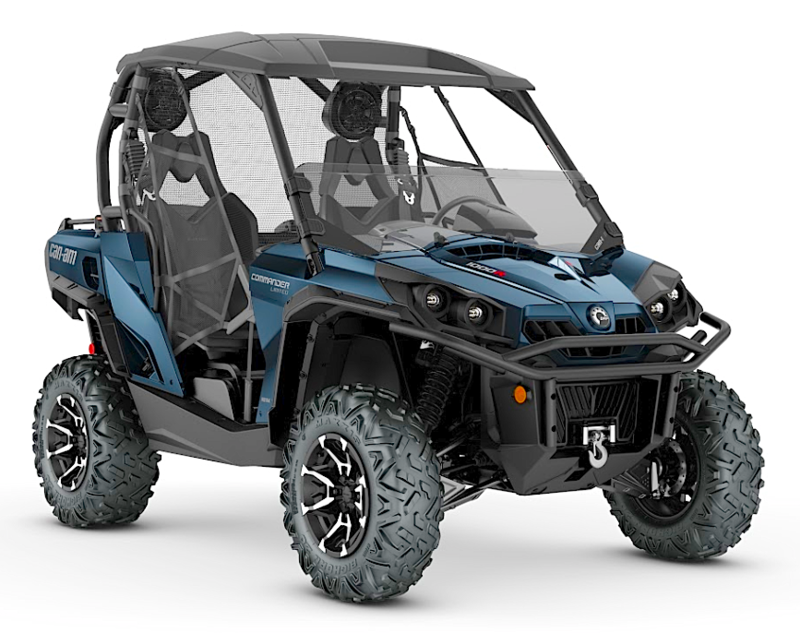 The Commander Limited 1000R took on significant changes for 2018, receiving a more powerful 92hp Rotax 1000R V-Twin engine, FOX 2.0 Podium QS3 shocks, Bluetooth compatibility for its sound system, larger front brakes, new 14-in. (35.6 cm) cast-aluminum offset wheels, as well as receiving another color offering (painted Triple Black). 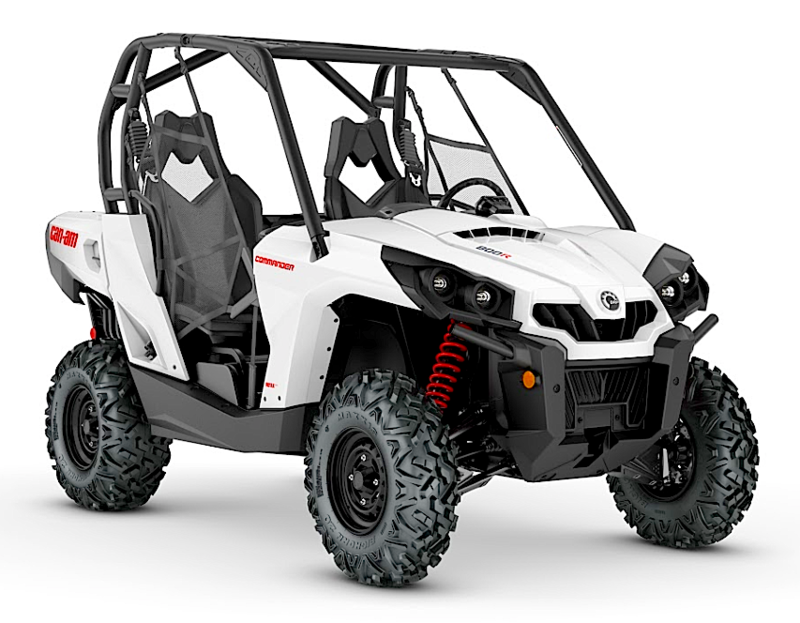 For 2018 the 800R comes in bright white and the price has been reduced to $11,199. For 2018 the DPS models get a 7 hp boost, updated brakes and aluminum wheels, and a new green color option. 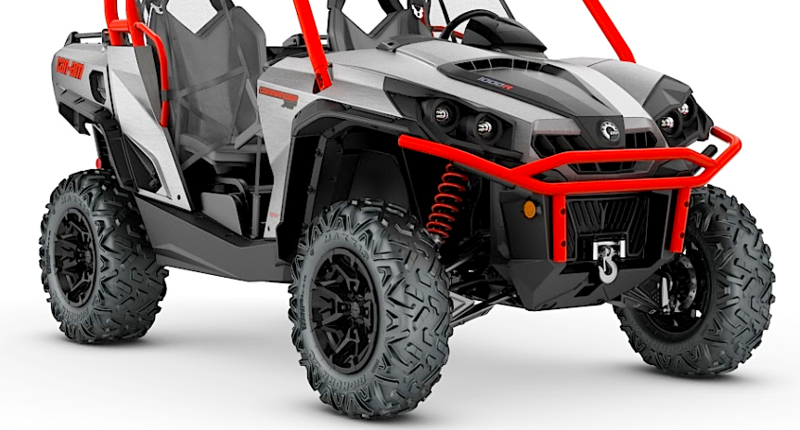 The XT models come with Tri-Mode Dynamic Power Steering, Visco-Lok QE and the factory-installed value added package which includes cast aluminum wheels, a winch and three color choices. Purpose built with hunters and outdoorsmen in mind, it gets a more horsepower (92 hp) for 2018, along with larger front brakes and offset cast aluminum wheels. It also comes with the XT package, plus bed rails, mudguards, bumpers, winch, gun boots, skid plate, roof, tire upgrade and more.